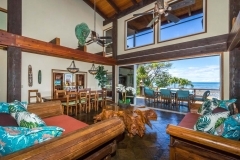 Maui's most exclusive, luxurious and private beachfront home. For many visitors to Maui the idea of staying in a private tropical beachfront estate appears impossible or just an idyllic scene of yesteryear. 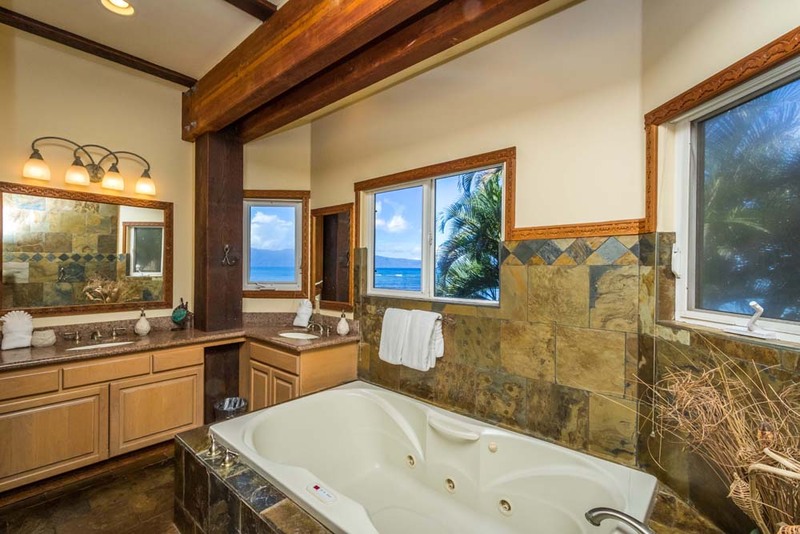 But a stay at the Kahana Nui Villa will make this dream come true. As you enter through your own automatic wood gate, you’ll find yourself immediately greeted in the courtyard with a towering Monkeypod tree surrounded with lush tropical gardens. 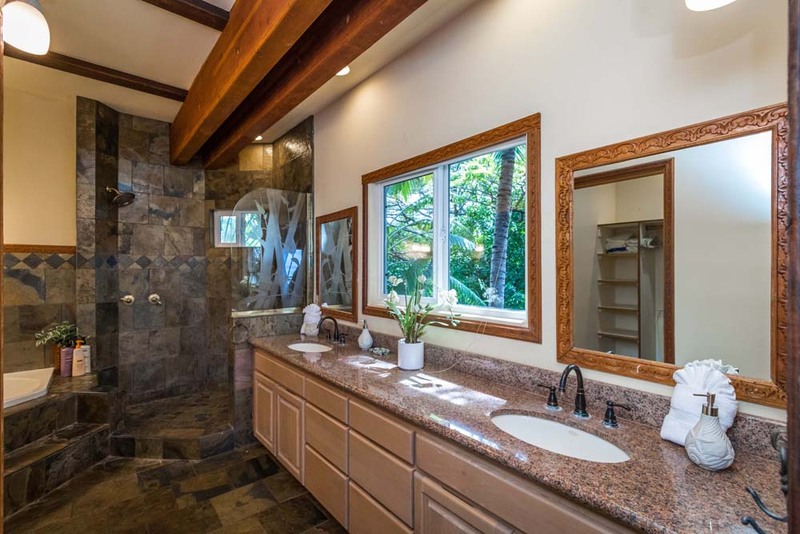 Many people immediately wander around the house first and are astonished to discover Kahana Nui is carefully nestled steps away from Maui’s incredible marine sanctuary. It is not unusual to spot spinner or bottlenose dolphins playing, or humpback whales breaching just off shore. Sometimes you’ll find giant green sea turtles (honu) or even endangered monk seals sunning themselves on the sand. Early risers, may wake to enjoy a stunning sunrise and discover local fisherman casting their traditional nets or spear diving for octopus (tako) in the shore break. Looking toward the ocean the views from the front of Kahana Nui stretch from the south shore of the island of Lana’i to Mokiniki just off shore of the north east edge of Moloka’i. 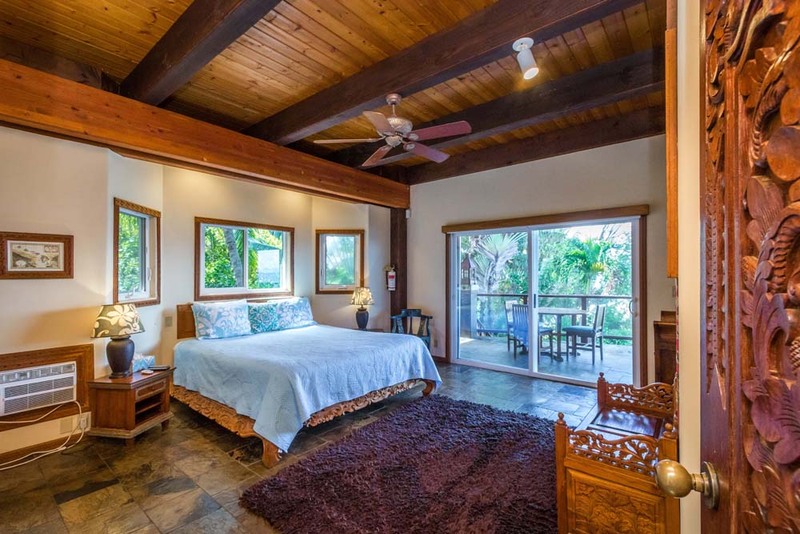 These views are not just from the tranquil yard, but even from two stories of glass lined lanais not to mention from the comfort of the king size beds in four of the oceanfront master suites facing west inside the home. The house itself is centered in the middle of the estate on large poles rising up towards the clouds. As you ascend the stairs and enter you are surrounded with unique architecture adorned in grand details commissioned by Indonesian artisans. Referred to by the locals as “The Bali House”, Kahana Nui is a six bedroom, four and a half bath luxury oceanfront home on the beach in Kahana conveniently positioned between historical Lahaina Town and the exclusive resort area of Kapalua on the west shore of Maui. 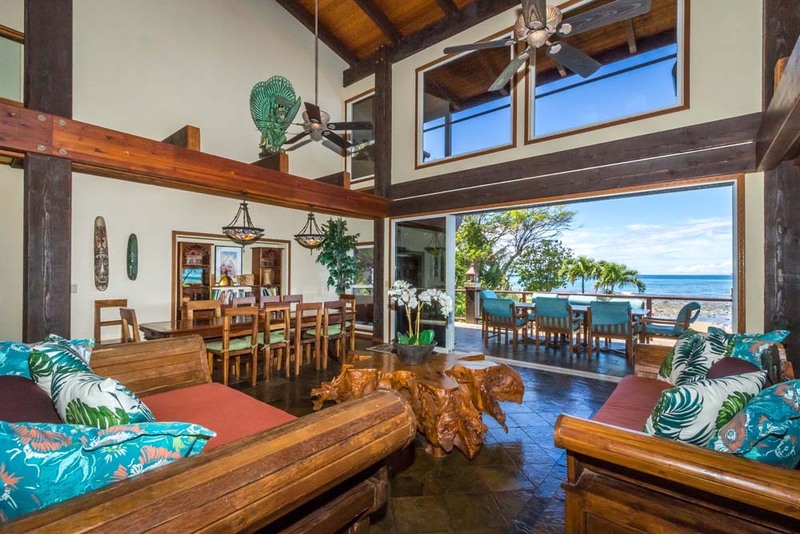 The open-air and open-floor house was specifically designed to take advantage of the gentle trade wind breezes. The front of the house features a massive retractable floor-to-ceiling glass wall that easily slides away to create a refined indoor/outdoor oceanfront living and dining experience. On the rare occasions when the tradewinds ebb, each bedroom is equipped with their own individual air conditioning units. 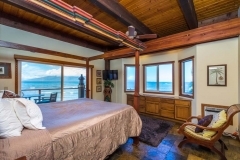 For beach lovers, there is “no place like home” when you stay at Kahana Nui. 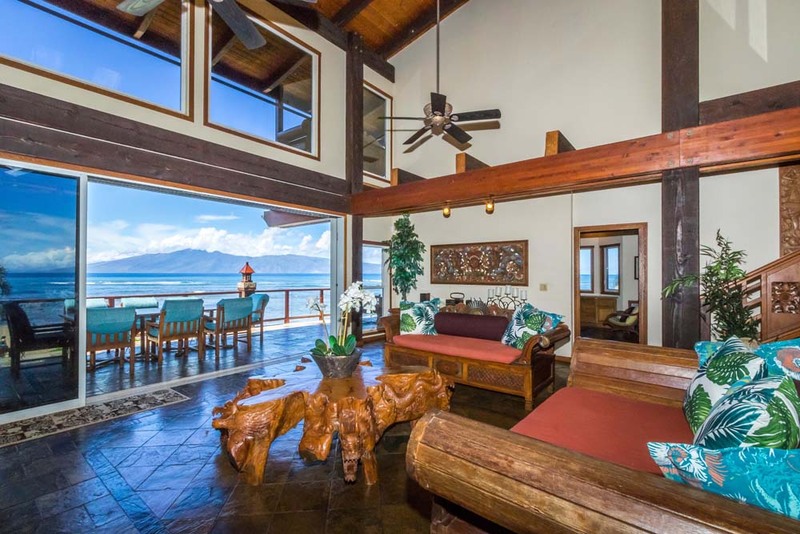 Mere steps across the pillowy soft lawn you have your own escape to swim, snorkel, stand up paddle all directly in front of the home. However, if you like adventure some of the world’s most renowned beaches are just minutes away – Kaanapali Beach to the south and Napili Bay to the north. 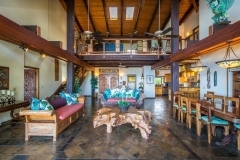 However, most guests find themselves mostly swimming in the freshwater Honu pool, sunbathing poolside listening to the waterfall, or relaxing in the large hot tub sipping a Mai Tai with the jets on high. Love golf? Simply take a left out of the gate and idle north on Lower Honoapiillani Road (known around here as “sLower road.) where just minutes away are both the technically challenging PGA Plantation Course and it’s more approachable sister The Kapalua Bay Course. Number of people that can be comfortably accommodated . 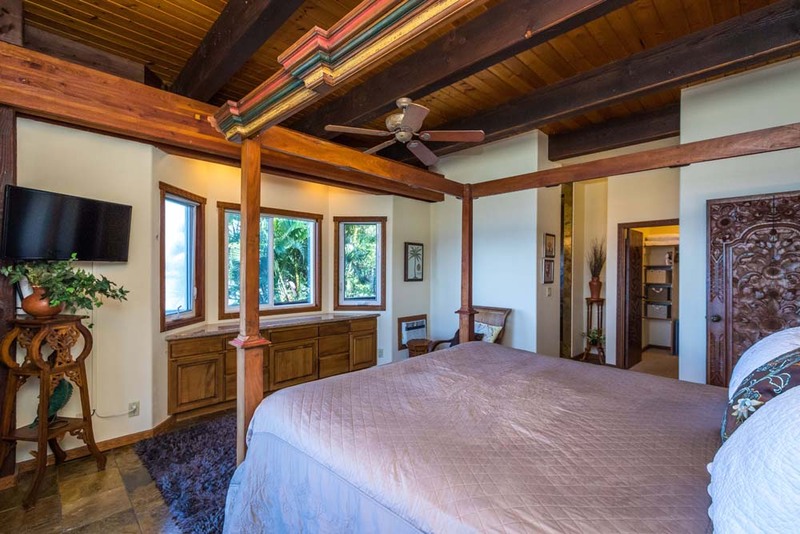 Square footage of covered lanai (porch) space. Including 4 oceanfront, air-conditioned Master Bedroom suites. Number of steps to the ocean. You can also book with one of our listing partners below. Each have their own fee structure, so price comparing is suggested. 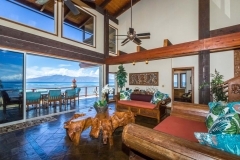 Rates subject to current HI state taxes; refundable security deposit. A minimum non-refundable $750 out-cleaning charge. A 25% deposit of the total rental amount is required to guarantee rental reservation. The 75% balance, together with a Security Deposit, must be received no less than 90 days prior to scheduled arrival date (180 days for the Christmas Holidays). Reservations made less than 90 days (180 days for the Christmas Holidays) prior to the arrival date are to be paid in full at the time of the initial reservation. .
To obtain a refund, cancellation must be made no less than 90 days prior to the arrival date (no less than 180 days for Christmas & holiday reservations). If canceled within 90 days (180 days for the Christmas Holidays) of rental start date, the amount refunded will be only the amount received for the re-rental during the original rental dates by rental to new guest. 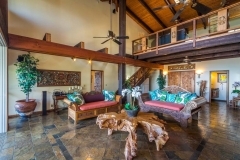 My husband and I took our children and grandchildren, a party of 9, to Maui and stayed at this Villa which was AMAZING! 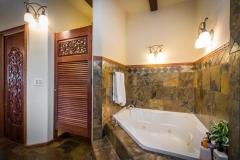 It was our first trip staying in a private home over a Hotel and we found it to be so much more relaxing and private. 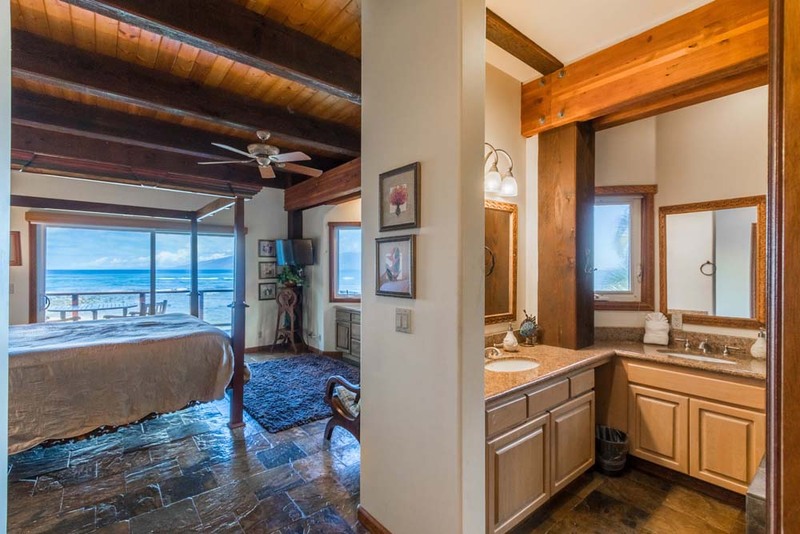 We loved everything about this home, the bedrooms were large and each of the master suites, 4, had amazing views of the ocean and walk out decks, we could not have been happier. Suzy was very nice to talk with and if we return to Maui I would love to stay here again. A true Hawaiian paradise! We loved the great location and the ambience! Our family of 14, ages 70 to almost 2, were all comfortable in this lovely home! From the early morning rainbows to the spectacular evening sunsets, this place was like a Hollywood movie set!! The kids and parents all enjoyed the pool when we were not out snorkeling or going to a luau or taking a family photo at Baby Beach! 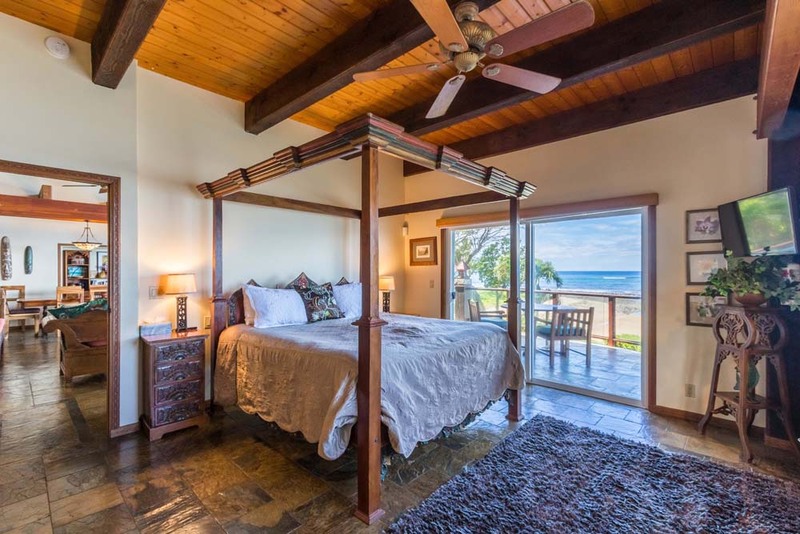 The proximity of this home to the great beaches and good eating spots in Lahaina and Kapalua was one of the reasons I booked this particular place and we were not disappointed! 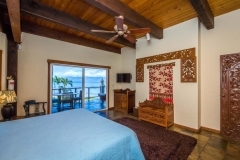 The owner, Suzy, was very responsive to any questions or needs that we had during our stay. One of the highlights of our trip was Chef Bryce, a Suzy referral, who came in to make a fabulous dinner for our whole family, some who are gluten free, on one of the last nights of our stay. Needless to say, none of us ever wanted to leave our little piece of Paradise, but we are already looking at dates for next year! It’s a wonderfully peaceful place to spend time with your loved ones! The location was fabulous! Kahana Nui Villa is an oasis on its own, yet very close to some of the best sandy beaches in Maui. Swimming pool and hot tub in the back yard overlooking the ocean were bit hits! The house itself is perfectly planned so all 11 of us had room to ourselves, as well as great gathering spots for all to be together. No details were overlooked…truly a paradise! 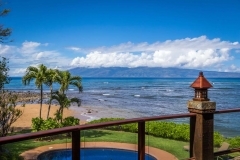 If you had to spell the word “Paradise” it would be spelled “KAHANA NUI VILLA.” This is one special place in the world. From the moment you walk into the front door and see the ocean with some of the prettiest colors of blue, you are hooked. We stayed here for one week in January with our four adult children and three son -in-laws. There was plenty of room for everyone to go and retreat. The lanai overlooking the ocean was our favorite room to gather. The views will not let you down. Our family has great memories made on our stay that will last a lifetime! The owner, Suzy, was a pleasure to work with during the whole process. She answered all or questions in a timely manner and the house is well equipped and clean. personally would never have left the property because it’s that fantastic but my family had never been to Maui and wanted to explore. 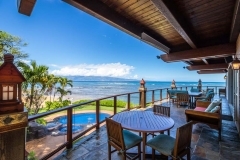 Suggestions for the first timers: Snorkel and whale watch on the Gemini, Old Lahaina Luau, we had lunch at Mama’s Fish House and you have to try the Hawaiian Shave ice at Ululant’s. I have to say this is the bet vacation I have ever taken. We loved every minute of being here and hope to be able to come back again in the future. We highly recommend Kahana Nui Villa! Our extended family of 11 stayed at ‘The Bali House'(as it is known to locals), 12/20/17-12/27/17. We booked this last February and throughout the whole process Suzy was amazing with communication. Every this was all set for us upon arrival and that was great as we all had different arrival times. The house is so beautifully detailed and the layout so well planned out that even with 11 of us, we never felt on top of each other. 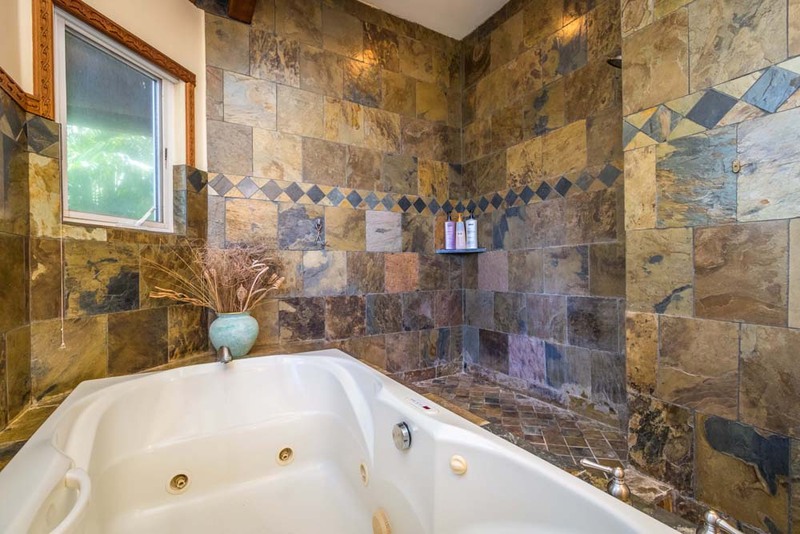 The view from the deck(s) are just breathtaking and the hot tub and pool got a lot of use. We did some activities throughout our week(driving to Olivine Pools and hiking down to the cliff pools near the oceans edge and jumping off the cliff into one of the pools was a huge highlight! ), but honestly we didn’t want to leave this house!! We cooked breakfast and dinner almost every night and the kitchen was so well stocked with anything you may need. It was awesome! Even a spice cabinet had the spices we normally use. I(we) really can’t say enough about this house. 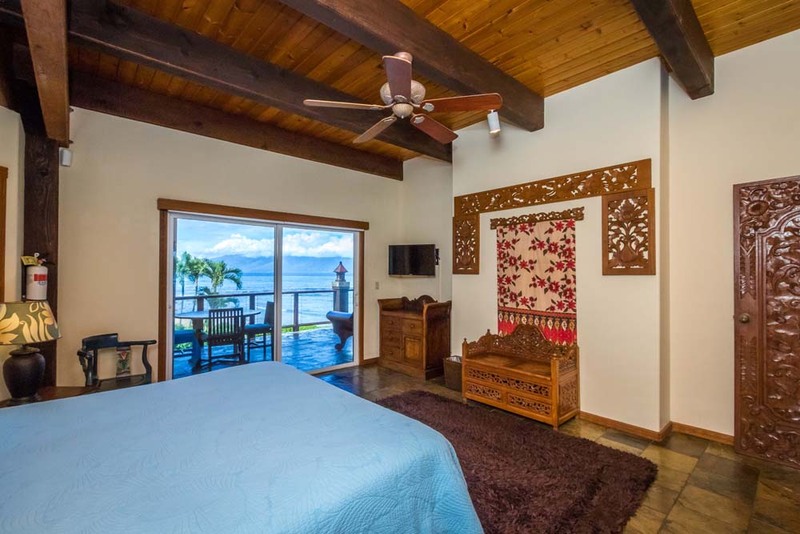 We felt that it was worth every penny paid because of how well designed it was and again, the beautiful view of the island across the way, the sandy ocean right in front, and all of the amenities with the house. This isn’t a house on the beach where you can walk for miles and even the road to go to a little convenience store is a little scary as no real sidewalks and pretty busy, but that was totally fine as we were so content just being there and hanging out on the deck, sun chairs, hot tub(for sure! ), and then pool. Thank you so much Suzy for letting us stay here and for the wonderful memories my jam,ily will cherish for years to come!! Going to sleep each night listening to the waves crashing was awesome! It was so nice that we really didn’t want to go out to eat we just cooked there! There were no problems whatsoever but we’re confident that if there was an issue it would be taken care of! So many wonderful memories made here with our family! My family of 11 (which includes 3 toddlers) had such an amazing time at this home. We especially loved all the hand carved wood details and furniture throughout the entire house – this house definitely makes you feel like you’re on vacation! Anything you would need to stay in and cook a meal is right in the house but the house is very close other restaurants as well. We stayed in all but 1 night of our 9-night stay, as we frequented the fish market and other markets close by for all our meals. 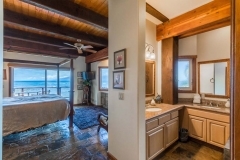 The bedrooms were amazing and we could whale-watch from bed (as well as the balconies). 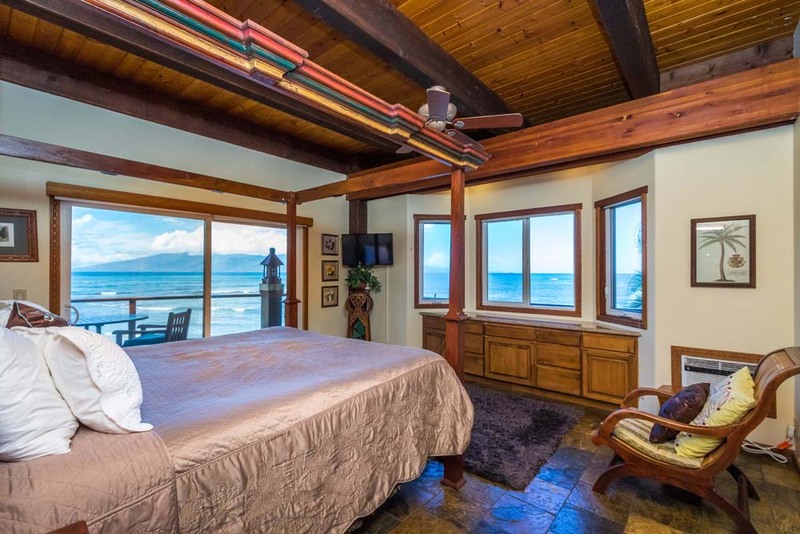 The 4 master bedrooms all had amazing ocean views and it was so nice to have the sliders open during the night and listen to the ocean. 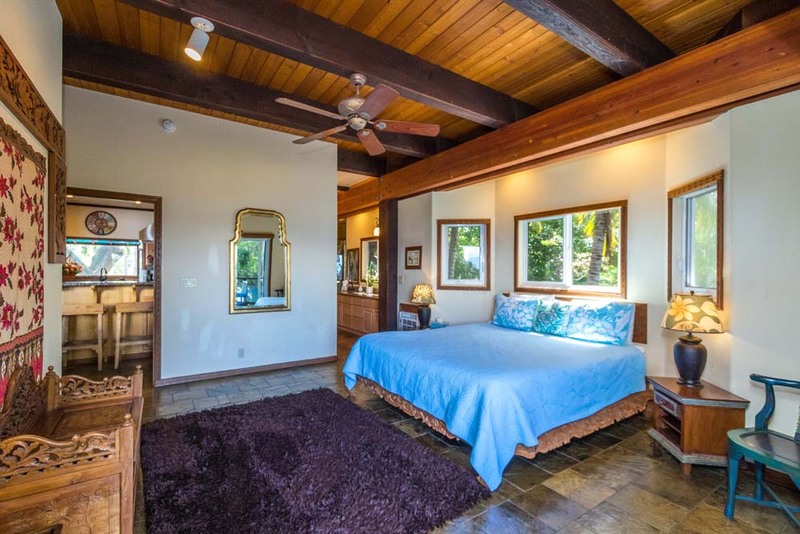 The 2 upstairs masters have 2 rooms with 2 twins in both in close proximity, with one of the rooms connected to the master. These rooms were perfect for the kids. All rooms had AC units in them that worked well enough to cool the rooms if necessary. The bathrooms are also fantastic and fully stocked with towels. The second level sitting area was perfect for the kids to run around in. The kids loved being so close to the beach and so did the adults as the kids are in plain view from the second story balcony. The sunsets were amazing and the weather was perfect. It did rain 2 1/2 of the days we were there but we could still sit on our balconies and enjoy the outdoors. The second level sliding door(s) open completely and we had it wide open every day. Downstairs, on ground level, there is a ping pong table and a closet stocked full of sand toys, water shoes and a bunch of other things to enjoy the beach as well as some pool toys. The pool and spa were amazing pluses as well and the lawn area. It was perfect to enjoy the sun and catch some rays. We had a photographer come to the house one afternoon and do family portraits at sunset and the grounds and beach were perfect for that, we got some fantastic shots. We had one issue with a screen door but it was addressed and fixed promptly. Suzy was a pleasure to book the vacation with and deal with up to our departure. 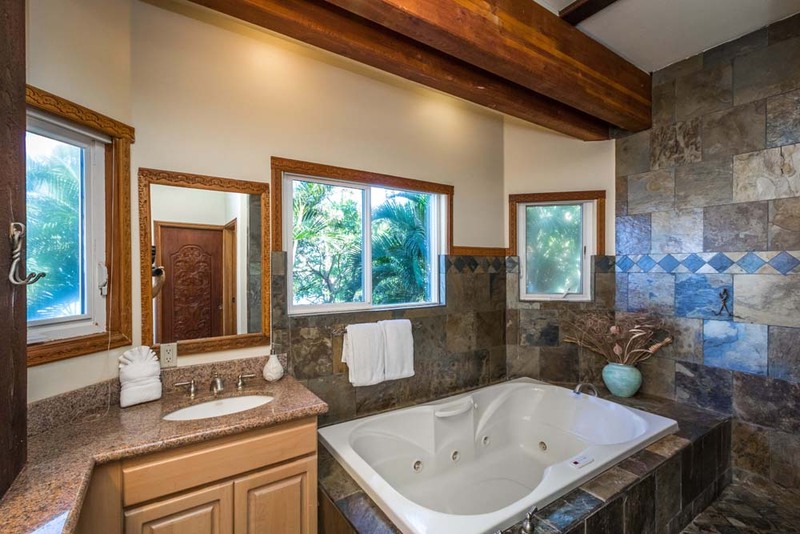 This house is really great, definitely the way to go if you’re taking your whole family on a vacation to Maui. We hope to stay at Kahana Nui Villa again the next time we visit Maui! This was truly the vacation of a lifetime! We celebrated our 50th anniversary with our 3 kids their spouses and our 6 grandchildren…14 in all. There was always something to do for all ages. The panoramic views are spectacular both inside & outside. 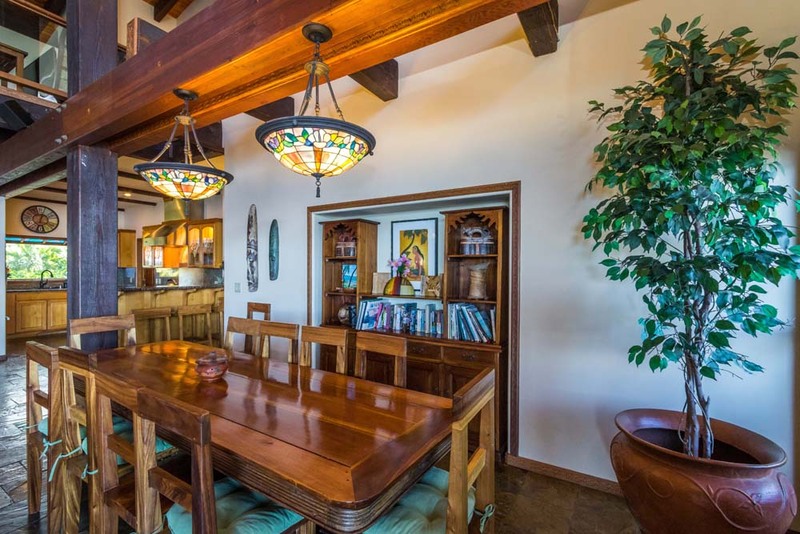 The house is gorgeous and accommodating with room for all to enjoy. 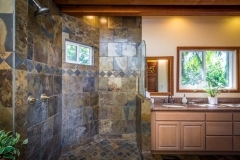 The surroundings are lush, private and spacious. The fountain, pool and spa, along with the tropical breezes and ocean waves made it a paradise for all. Many DVDs and TV’s are there, but were rarely used. 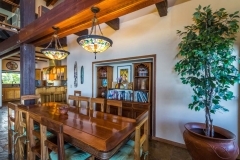 Seating for meals, all eaten on the lanai, was adequate for all of us together. There is an outdoor shower to wash off salt water and sand. A ping pong table outside which we used a lot. Beach towels, noodles, water shoes and small swim boards were all supplied. There is a security gate and garage to fit our 4 rental cars. We truly enjoyed our much too short week vacation at Kahana Nui. 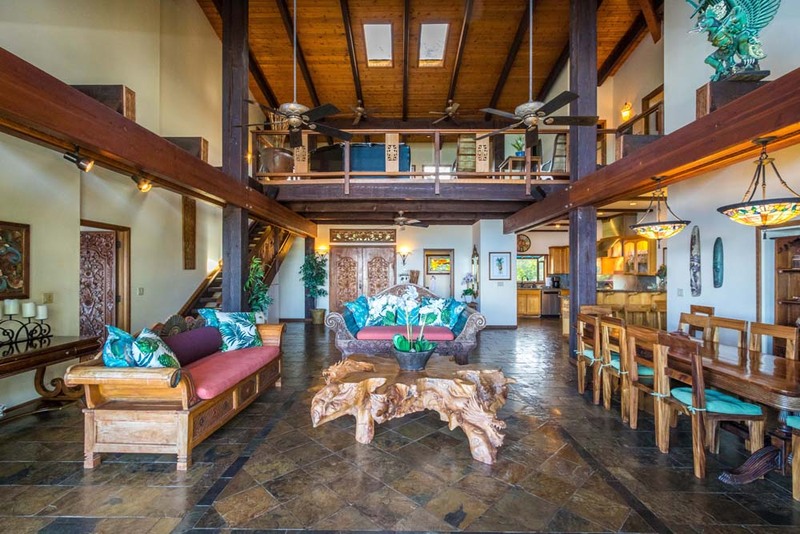 Our Hawaiian family reunion here will hold many memories for us all.